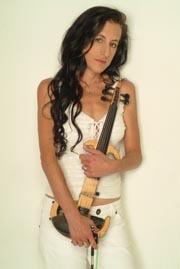 "Transcendent Marriage Between Melody & Atmosphere"
At a recent show, electric violinist Caryn Lin jokingly described for the audience, her next musical piece as “Native American, West African, techno-tribal, Australian, cosmic, Celtic, dance, rock, Egyptian.” There is no previously-defined category for Caryn’s unique genre. A classically trained violinist who became an electric violinist, composer, and education innovator, Caryn finds influence in everything from baroque to rock. She thinks of her music as new age-gypsy/world/classical-ish. The Cherry Hill, New Jersey native started violin lessons at age 9, and soon began studies with the Philadelphia Orchestra’s Larry Grika. She earned a bachelor’s degree in violin performance from Northwestern University & studied with Mary Ann Mumm, protege of Joseph Gingold. Even then she took an inspired approach to the violin; after class, she’d contentedly jam to her Jackson Browne and Bob Dylan records. After graduation Caryn moved to Germany to study under virtuoso Suzanne Lautenbacher. While there, she stayed true to her love of innovation, jamming with street musicians and playing in several bands. During a show on her last night in Germany, a guitarist wondered what would happen if they plugged an echo box into the pick up on her acoustic violin. Caryn listened entranced as the sound of her violin filled the room, accompanying itself, and creating a fantastic soundscape unlike anything else she’d ever heard – as exciting as an electric guitar but even closer to her heart. The misfit classical musician had found her place. Years of concentrated experimentation with sound, results in a live show that is the musical equivalent of light traveling through a prism – spectacular. Caryn plays her 4, 5 and 6 string electric violins, using looping to create short, on-the–spot recordings of her voice, percussion, and other sounds. As she plays the violin, the recorded snippets play back in a continuous loop adding fascinating layers of sound over deceptively simple melodies. 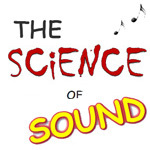 The resulting music is both otherworldly and totally catchy: mesmerizing and unique. lin's only limits are those of her electric violin"